Secure Pacific has the experience and technology to design a managed keyless entry system that gives you greater control of activity in your building. Our systems also save you money and help decrease your workload. When you work with Secure Pacific, you won’t have to worry about how to install keyless entry. We manage your keyless entry system; so you can focus on running your business. Want the janitorial staff to have access to the building between 10:00 p.m. and 4:00 a.m.? We can do that. Want your assistant manager to be able to get in and open the store during your vacation? We can set that up, too. Trapped at home due to a snow storm with your business doors programmed to automatically unlock? We’ve got you covered. 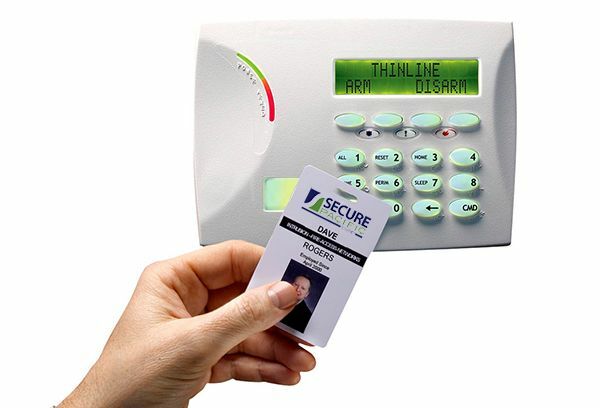 Access control services allow you to let select individuals into your facilities at specific times. Just let us know what you need and our team makes it happen. No muss, no fuss. Keyless entry systems help you minimize threats that come from outside or inside your business. You identify who can enter your business and when, and where they can go once inside. Secure Pacific’s commercial security experts program the system to your specifications. Secure Pacific has a complete portfolio of keyless entry services to ensure intrusion prevention for businesses of every size. Whether you’re looking for a Seattle access control system for your business or looking to upgrade your Portland security system, we can help you to select comprehensive solutions. We have the technology and service you need to increase security, save time and save money.